Good jawbone quality is important in a dental implant treatment. 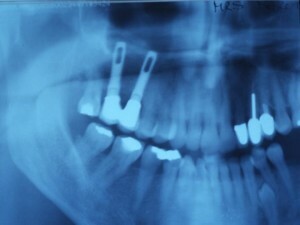 If the jaw is thin or insufficient, the implants can be almost impossible to attach, since the titanium screws need adequate bone mass as a secure base. Do you need dental implants? Are you interested in having dental implants, but you have a thin jawbone? A sinus grafting procedure in London can make it possible for you to have the dental implant treatment that you need, even if your upper jaw is thin or considered as insufficient for the placement of the implants. Also called a sinus lift, the sinus graft is used in preparation for the placement of dental implants in cases when the patient has a thin or insufficient upper jaw area. The upper jaw may have thinned due to long-term tooth loss which has not been addressed, or as a result of gum or periodontal disease. Changes that come with age, as well as normal anatomical conditions that cause the sinus to be large, are also some of the reasons why a sinus graft is needed prior to a dental implant treatment. The sinus graft involves the addition of bone graft material into the sinus area, to improve the jawbone quality as part of the preparation for the placement of the dental implants. The area where the molars and the premolars are located is usually where the sinus lift is done. The sinus graft will successfully augment the upper jaw so that sufficient jawbone quality is achieved – making it possible for the dental implants to be placed without difficulties.